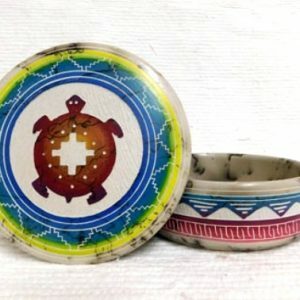 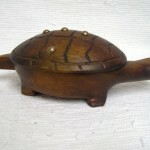 This wonderful hand carved turtle cedar box was created by Bear Romero. 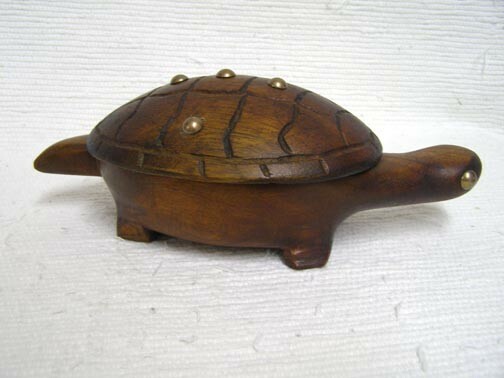 The turtle is a symbol for long life. 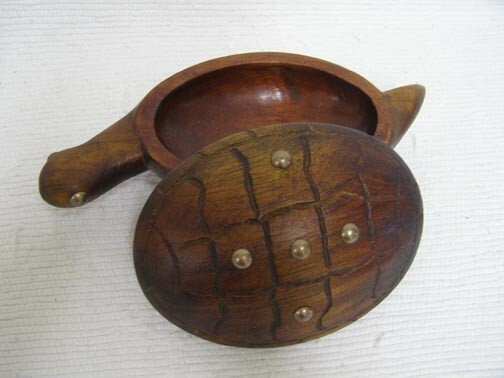 The shell which is decorated with brass tacks lifts off and exposes a wonderful space for storage. 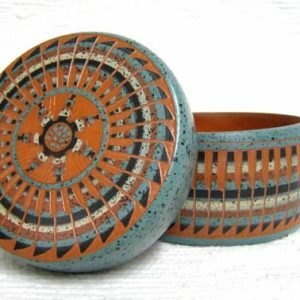 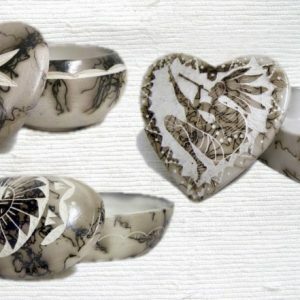 Perfect for keepsakes, or that special piece of jewelry. 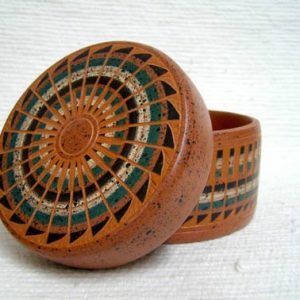 This little fella measures 10 inches in length x 5 inches wide x 4 inches tall.